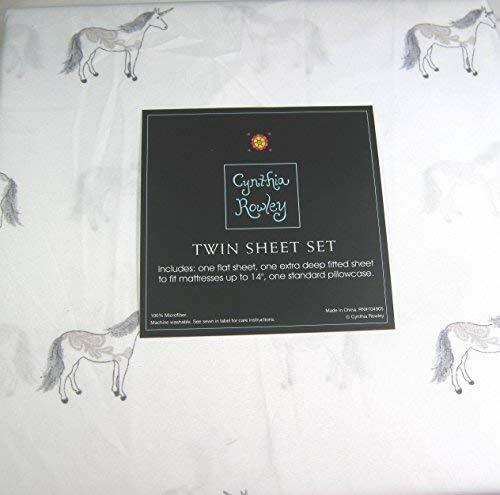 Perfect for girls or boys is this beautiful twin size sheet set from Cynthia Rowley. The unicorns are in shades of Black, Gray and Tan on a White background. Cynthia Rowley is known for her quality and beautiful patterns. If you have any questions about this product by Cynthia Rowely New York, contact us by completing and submitting the form below. If you are looking for a specif part number, please include it with your message.